What makes a health care center stand out from the rest is counting with qualified doctors and the latest and best medical equipment in Sialkot. If you need information about how and where to buy medical instruments for your clinic, you are in the right place. There are so many medical supply companies online that it is hard to choose where to buy the equipment from. You need to be sure about their quiality. Look for reviews: look for suppliers with good reputation. You can find comments from former clients in forums or our website, for example. Knowledge of the device: you need to have information about the medical device to buy it right. If you don’t know much about it ask for advice to someone who is already using it. Inventory: it is better to choose one company with its own inventory so they will quicker provide you with the healthcare equipment. Ask about discounts: some companies have interesting offers for large orders. If you want to save money you can consider used medical equipment and keep always the report where it is said that the medical ítems have been re-calibrated. A shortage of medical equipment may lead to horrible consecuences. When it comes about durable medical equipment you might doubt whether to buy them or lease them. For this choice it is important that you think of the longevity of the item and the possible cost of maintenance. When the equipment is long lasting it is a good idea to buy and more profitable if you compare it with the monthy payments of leasing it. However, if you count with small budget, leasing can be a good option. You should get to know which repairment and maintenance costs are included in the contract. Furthermore, you shoud also to bare in mind how to protect your medical equipment from malware. At Infoisinfo we help you to buy good durable and disposable medical equipment in Sialkot. We’ve prepared a list where you will find all the information that you might need from different companies providers of medical drugs and machines. A wide range of medical suppliers in Sialkot will provide you with surgical and nursing supplies, medical consumables, devices and handicap equipment, among other items. You can also have a look to valorations and comments availables on our website to take the best choice. Wazirabad Road Ugoki. Sialkot. Punjab. 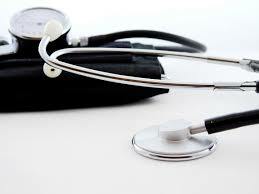 Medical and medical instruments are our main activities. Refer to our website if you want to know more about us. OPP Classico Factory, Nasir Road, Prem Nagar. Sialkot. Punjab. Medical and surgical are our main activities. Refer to our website if you want to know more about us.